When I was new in making smoothie, I’ve always been guilty of making it with lots of bits or lumps – very different than what the smoothie stores produce. Usually, chunky pieces came from vegetables that are notoriously hard to be blended. Fruits, on the other hand, is much easier to blend. With experience, I’ve found that it is possible to get rid of the bits in a smoothie and making it free of chunky lumps. So if you’re like me and wants to enjoy a fruit and vegetable smoothie free of bits and pieces, make sure you read this guide to the end! The main reason why your smoothie curdles or lump together is because of your blender – specifically your under-powered blender. Normal food processor or home blender typically has 200 to 300 watts of motor power. While this is enough to make your salsa, unfortunately it’s not good enough to make a smoothie. The secret to a very smooth smoothie is the use of high powered blender with more than 1000 watts. Basically, the higher the power, the faster the blades inside the blender can spin. This will cut all the ingredients down to its smallest pieces giving a smooth smoothie. I admit there are other elements that will have effects on our smoothie (blade design, blender base shape, etc.) but blender motor power is the biggest factor. I used to make my smoothies with my home kitchen’s blender. While a banana shake or other fruit shake came out delicious, my fruit and vegetable smoothies were full of unsightly and less than desireable bits and lumps. Once I upgraded to a high powered blender, the lumps go away forever! In fact, the best rated blender in making smoothies such as Vitamix, Blendtec and Breville all have more than 1500 watt power motor. Just go to any smoothie joint and you’ll notice they will use either one of those blenders. From there we can decipher the reason for such a delectable smoothie. If you don’t feel comfortable buying the top 3 blenders, there are other high powered blender that can give the same type of blending performance at a fraction of the price. Brands such as Nutri Ninja, Oster and Cleanblend are those that I found to give quite a good value for money. In my experience, blending a large serving of smoothie in one go will result in a lesser quality smoothie. Well, it actually makes sense as the more things we put into the blender, the harder it has to work. And most often, the blender can’t ensure the same kind of smoothie quality when blending a large serving versus blending a smaller serving. With a big load, the blades cannot cut everything inside the jug. As you’ll notice, when the blender runs, the content inside it will swirl as fast as the blade. Usually, only the part of the liquid that’s at the bottom of the jug will be blended evenly. But the same can’t be said to the liquid at the upper part of the jug which is not exposed to the blades as much. Which is why it makes total sense to only blend in small servings to ensure you will get the best and consistent smoothies. Another important thing that we need to know is that vegetables are harder to blend compared to fruits. Fruits contain way more water inside it and its molecular structure is not as rigid and tight as vegetables, especially the green leafy ones (e.g spinach, kale, etc.). If your blender cannot blend a good vegetable and fruit smoothie in one go, then I suggest to blend it in stages. The first stage is blend the vegetables with some water. Once it’s blended adequately, then put in the fruit and blend again. By doing this, we can ensure the blender vegetables are shredded more efficiently at first since the blender only has to work with the smaller amount of vegetables – related to the second tips above. With a smaller load (only vegetables), the blender works better giving a thoroughly processed smoothie. Then, the fruit is added afterwards and the blending continues to make the final delicious smoothie without those annoying lumps. Here’s a tip that many people forgot to do. A sufficient water or liquid can easily makes the difference between a sliky smoothie and one with lots of lumps in it. Putting some water is important to ensure the blades can move and cut the ingredients efficiently. It acts like a lubricant, especially when blending lots of green vegetables that are hard to blend. How much water to put? My personal preference is to put at least 15% of water per volume of the ingredients. That means if my ingredient stops at the 1000 ml mark of the jug, I’ll put in water up to the 150 ml mark. From there, I’ll adjust whether to put more water to dilute it a bit more, especially when blending lots of veggies. And it you find the water is a bit too much, you can add in some ice cubes and blend it to make the smoothie thicker. 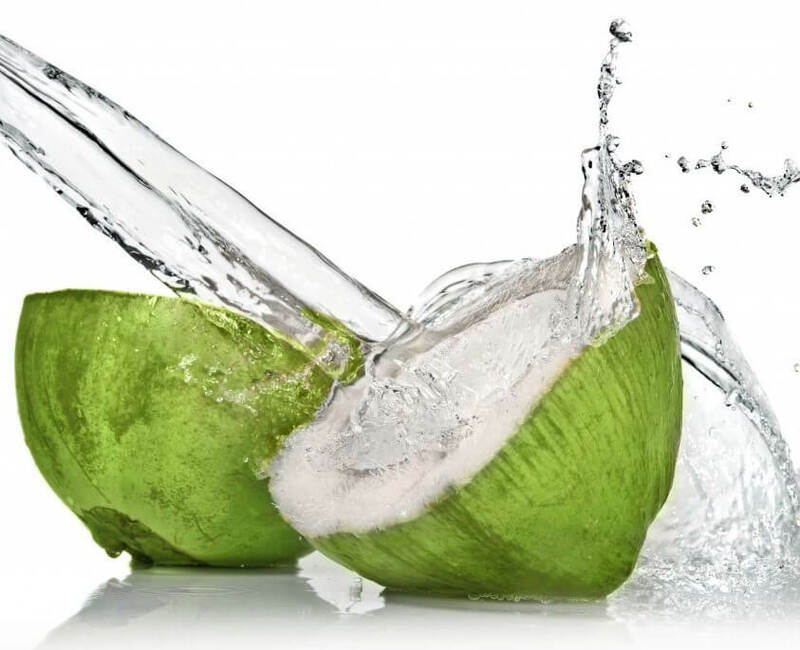 By the way, you can also substitute water with other liquid such as coconut water, which can give different flavor to your favorite smoothie as well as giving more vitamins and minerals. The last tip is a good one, but which many people tend to forget which is chopping fruits and vegetables into smaller pieces. The main reason for doing so is to make it easier for the blender to break down the ingredients. 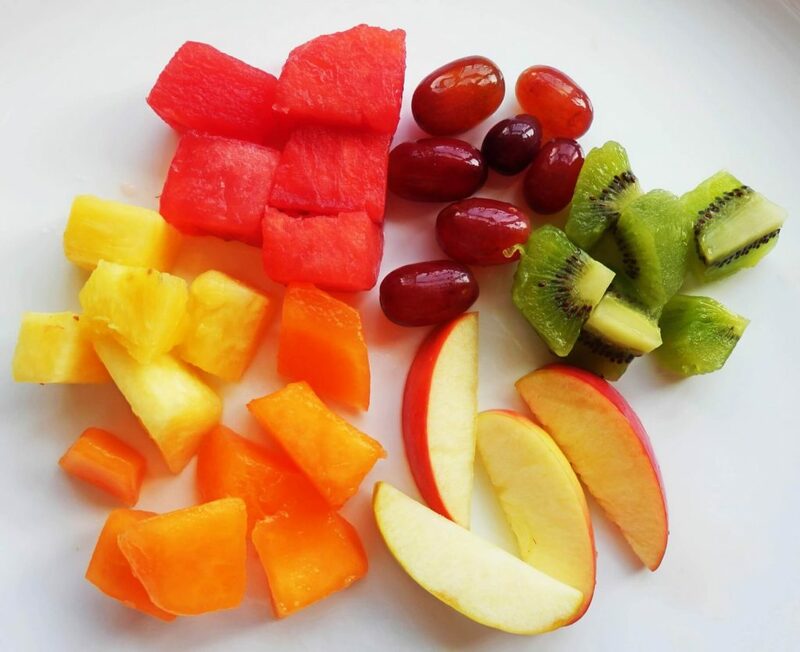 A huge block of fruit and vegetable is harder to blend than smaller chunks of the same ingredient. Of course the question now is how small? I don’t mean to make it smaller than half an inch (though small chunks are good, but it’s not really practical..). In my opinion, an inch or one and a half inch is good enough. Still, it depends on the ingredient. For a banana that’s very easy to blend due to its soft texture, a bigger chunk can be used. But for a harder fruits like pineapple for instance, smaller is recommended to ensure it can be blended smoothly. It’s very tempting to continue blending to make sure the smoothie is smoothly blended. It’s true that blending longer will help to break down the smoothie and making it smoother and free of lumps or bits. But we still need to bear in mind that using the blender for a long time will cause overheating on the motor. Rotating machines (e.g blender motor) suffers from one big problem: overheating when used in long period of time. The heat is caused by the friction of the rotating parts in the machine. Some machine uses cooling system to solve this problem such as car engines. But as you can predict, blenders only rely on air around it to dissipate the excess heat. So what happens if we run the blender for a long period (more than 2 minutes)? 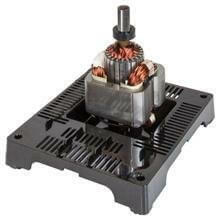 The blender motor will overheat and it will burn, causing damage to the whole motor and its circuit. Some high end blenders are sufficiently designed to make sure it has adequate air flow around the motor. This enables it to blend for a longer time period. In addition, these blenders typically come with automatic trip switch as fail-safe to shut down the blender if the temperature goes too high. It should be noted that some high end blenders such as Vitamix CAN run for a long time. In fact, some Vitamix blenders can run for up to 10 minutes for their soup function. So just to be sure, do read the instruction manual for your blender to know how long it can run for. 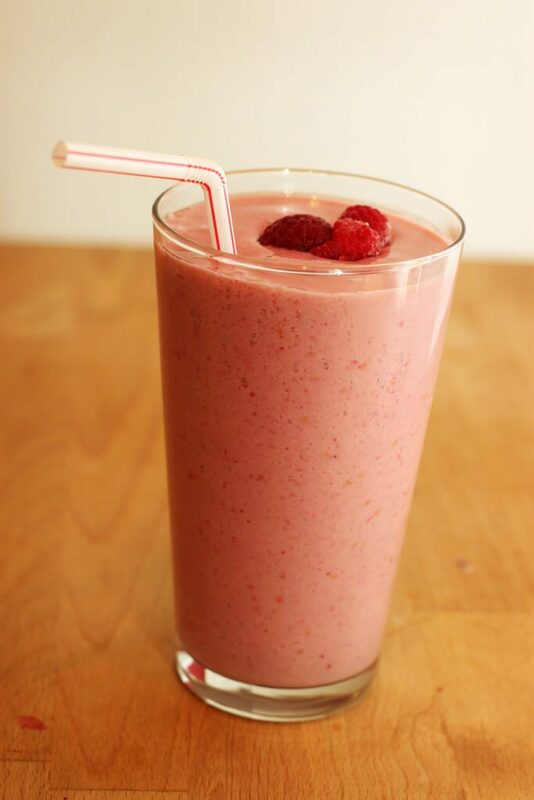 Making a delicious smoothie is not hard. In fact, just upgrading to a high powered blender will give a great boost in how your smoothie will turn out like. 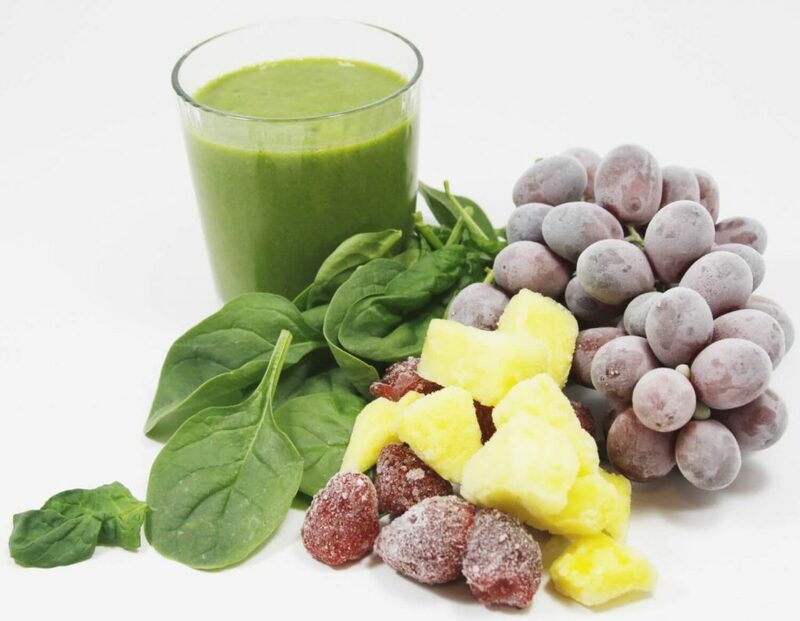 While a normal kitchen blender can make a banana/fruit shake and smoothie just fine, a fruit and green vegetable smoothie requires a high powered blender. Speaking from experience, trying to blend a fruit and vegetable smoothie will only result in a huge blob of lumps LOL! If you already have a high powered blender but still having some problem to make a consistently silky smooth smoothies, try giving the tips above a go. You’ll notice immediately the difference of how your smoothie will turn out to be. Do let me know in the comments section what’s your experience with these tips ya!